There are a number of market trends impacting the rate and success of Cloud adoption for Oracle workloads, not least the co-existence of on-premise infrastructure with multiple cloud service providers. These Multi and Hybrid-Cloud trends are creating challenges for organisations, especially those running Oracle systems and applications, relating to latency/performance issues, security risks and operational complexities. Additionally, many customers just don’t know how to leverage Oracle Cloud alongside AWS and Azure, amongst others. To overcome these challenges, Explorer, in partnership with Equinix, has developed a unique Hybrid & Multi-Cloud design methodology called OCEAN. Organisations are adopting a multi-cloud service provider strategy to consume discrete services to deliver specific business functions as well as continue to run critical business application workloads on-premise. This is creating increased operational complexity, higher risk exposure and poorer application performance due to application and database workloads traversing back and forth between cloud and on-premise infrastructure over the internet. To overcome these challenges, businesses need to design an architecture that moves on-premise infrastructure closer to cloud service providers (CSPs) whilst also allowing data to flow openly and securely between all infrastructure and CSPs. The result; cloud adjacent architecture with complete control and flexibility using a low latency secure network fabric inside the same datacentre where your CSPs reside. Effectively leverage Oracle Cloud alongside new and/or existing CSPs e.g. AWS and Microsoft Azure to maintain best-in-class services and reduce costs. Equinix Cloud Exchange Fabric™ (ECX) and Oracle Fast Connect allows customers to access Oracle Cloud over a private VLAN; increasing security and performance. ECX fabric also provides a platform to connect to many other CSP’s. Using an OCEAN Survey and our unique sizing calculator we assess all current infrastructure and Oracle workloads, align with your Cloud consumption and identify cost savings. Moving your infrastructure closer to the edge of your current CSP’s, inside the same Equinix datacentres, bypasses the public internet to improve security and performance and at the same time lowering risk and costs. Designing enterprise architecture utilising Oracle Engineered Systems with Oracle Cloud, whilst also leveraging the Equinix Cloud Exchange, provides a platform to consolidate and simplify complex estates and streamline costs. 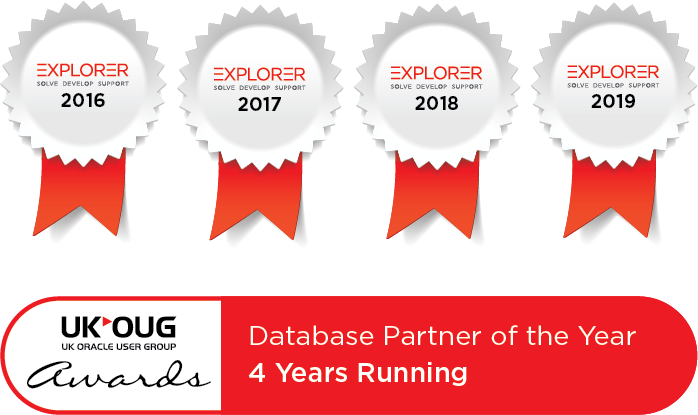 Explorer, Equinix and Oracle have the unique advantage to wrap this into a low cost OPEX model and remove any barriers for multi and hybrid cloud adoption. By leveraging our gold standard partnership with Equinix, we provide secure private cages with high security access control systems across a globally interconnected exchange of datacentre locations. When combined with the Equinix Cloud Exchange, companies are empowered to transition from legacy, individual, IT centralised architecture to one that is distributed and offers complete interconnection at the edge of Cloud Service Providers. An OCEAN™ Survey lifts the lid on your current Oracle workloads and infrastructure, identifies areas of concern and aligns current and future business objectives regarding cloud adoption. Our unique infrastructure and cloud calculator can then be used to “right-size” and predict cost models for Hybrid and Multi-Cloud adoption and consumption.